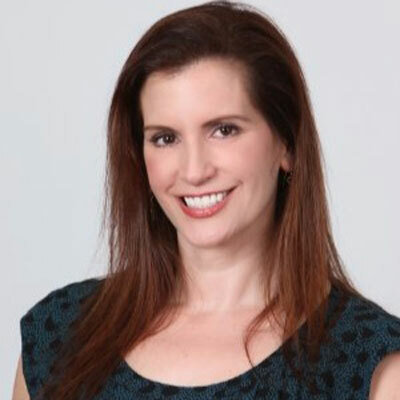 Lauren Duda is Senior Director, WW Partner Marketing and Development at Couchbase. At Couchbase, Lauren is responsible for defining and developing the company's global partner marketing and development strategy, as well as driving strategy and execution of Couchbase's new global partner program, PartnerEngage. She also leads engagement for strategic partners, coordinating joint marketing programs to drive demand for Couchbase's solutions. Lauren has extensive experience in the channel prior to joining Couchbase, having driven efforts for successful channel programs as the Director of Global Channel Marketing for Adaptive Insights, Director of Channel Marketing at Citrix Online, Manager of Global Channel and Alliances Marketing at Symantec and several other roles focused on driving value through partnerships Lauren has proven success driving growth in global markets through the execution of critical strategic and tactical projects. She is an expert in driving the creation and execution of key messages and supporting programs for end-customers and channel partners in SMBs through enterprise. My personal role at Couchbase has been to lead the company's global partner marketing and development strategy. This year, I helped structure and oversee the successful launch of Couchbase's formalized global partner program, PartnerEngage. As part of the implementation, I led the communication and facilitation process for transitioning more than 150 of our existing partners. I've also taken the lead on engagement of strategic partners in joint marketing programs to drive demand for Couchbase's solutions. We have big plans for PartnerEngage. Over the next year, I'm aiming to continue growing the program and doubling the percentage of revenue coming from channel sales to 30 percent. This will be accomplished by effectively targeting the right partners, enabling them to carry our message and activating them to help open markets and drive new business. This year I helped lead the launch of Couchbase's new global partner program, PartnerEngage. The new program allows participants to join Couchbase's growing ecosystem of more than 150 partners. Offering two levels of participation, Registered and Advanced, partners within both tiers will benefit from enhanced availability and expansion into global markets, maximizing joint opportunities. Due to the successful launch, I was awarded recognition in CRN's 2018 Partner Program Guide, along with a 5-star ranking given to an elite subset of companies that offer solution providers the best partnering elements in their channel programs. Michelle Obama. Breaking stereotypes from day one, she fought to address racism, public health and women's rights. Already highly accomplished by the time she became first lady, she used that amazing platform to affect real positive change, all while remaining reliable, transparent and compassionate. Don't be afraid to ask for more. This means negotiate for what you deserve, and ask for what you want. Be able to support your position - the worst that could happen is you may hear a "no." If you don't keep asking and keep pushing yourself forward, you'll never get to the "yes" that could significantly change your trajectory. I'd like to learn how to best leverage all the new technology available to better target and automate demand generation. My own marketing team makes great use of these solutions, and I think there is a huge opportunity to do the same to better target and reach out to our broad partner base. Boys in the Boat. This is the story of the men's crew team from Washington and their journey to the 1938 Olympic Games in Germany. I just learned to row crew this year, and the level of detail the book provides about what it takes to row at the highest level was truly amazing. That, coupled with the stirring story of the time in the US and in Germany, made this captivating and emotional.